Brighten up your morning & boost your immune system with this superfood orange smoothie packed with ginger, goji berries, hemp seeds & citrus! Happy almost new year! I don’t know about you, but I’m sure ready to start eating a little bit lighter and brighter. And of course, “healthy” in my book doesn’t mean bland and boring… quite the opposite. 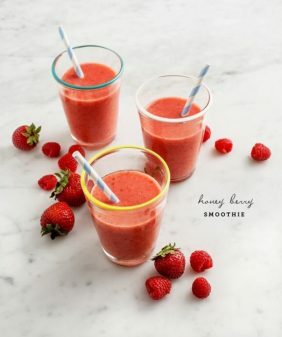 In the middle of winter,* I find myself craving bright orange and red foods… so here’s a sunny smoothie I made to brighten up winter mornings and give my immune system a boost. Oranges – Of course, oranges are essential here. Because winter is citrus season, I use lemons, limes, grapefruit, and oranges as much as I can. 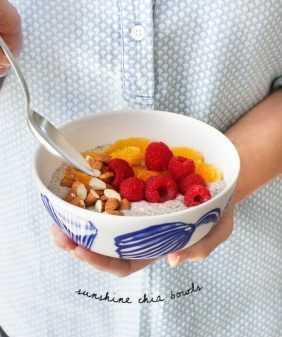 As an added bonus, they’re filled with immune-boosting Vitamin C.
Goji berries – These little pink berries are loaded with Vitamin C, Vitamin A, fiber, and antioxidants, so they’re a great morning boost! 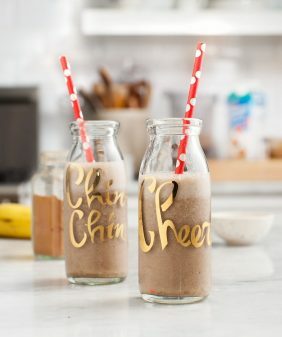 Bananas – Bananas are one of my favorite smoothie ingredients because of their creamy texture, but they also add potassium and staying power to this smoothie. Almond milk – To thin, and for more creaminess. Hemp Seeds – Not only do hemp seeds make this smoothie more thick and creamy, but they also add protein and healthy fats! Ginger – Last but not least, ginger gives this smoothie a flavor kick. 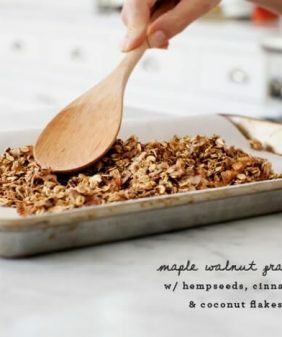 It’s good for digestion and has anti-inflammatory properties as well. Combine them in a blender, and blend to creamy perfection! And if you want more superfood smoothie ideas, try this superfood smoothie bowl and these breakfast smoothies too! *Austin winter isn’t real winter, but I get cold anyhow. 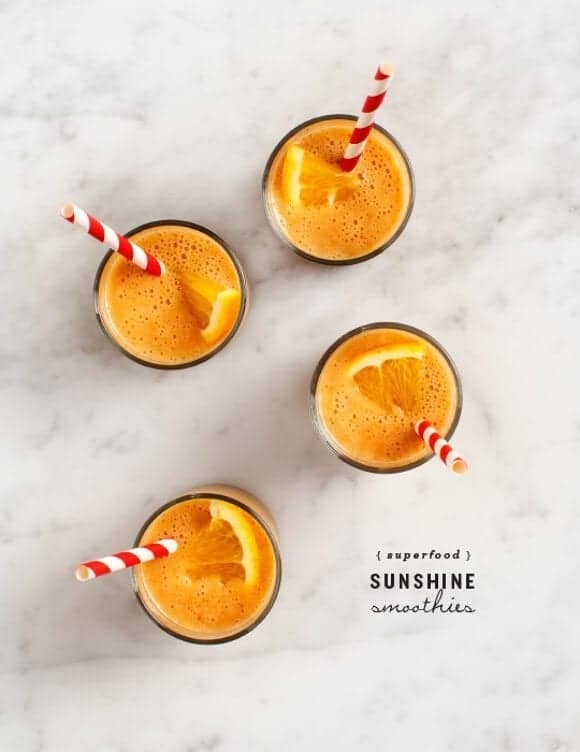 This cheery orange smoothie is a great winter breakfast or snack! Vegan and gluten-free. Blend all ingredients and adjust to your liking. I would not have thought of ginger and banana! What a beautiful combination of superfoods. Must try. Power packed smoothies are a favorite of mine. They’re such a good way to get great nutrition and taste like a treat. This recipe looks delicious. I’ll be adding this to my repertoire! I like the spicy warmth of ginger in drinks;; maybe it could be my asian taste buds but ginger is main ingredient I could not live without. i was looking for new smoothie inspiration and here it is 🙂 thanks. Happy almond New Year to you as well. I am in total love with this. It’s so pretty! I could wake up to this every single morning! Beautiful smoothies! John and I were thinking of you and Jack this week. Hope all is well in your world! Smoothies in the morning are great! I try to have one every day. This one looks beautiful. It sounds so healthy and delicious 🙂 I can’t wait to have my blender again. See now, if you lived in Miami, you’d miss out on cozy weather but we have your bright colors covered all year long. Looks beautiful. I just made this for New Year’s morning. It was the perfect thing to balance out the wine I drank last night! I discover your blog for the first time and I like it! Your pictures are very nice and your recipes looks so good! this smoothie looks so yummy! Very wintry! 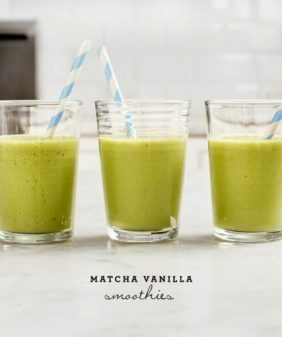 I’m not usually a smoothie in the winter time kind of girl, but this smoothie looks so good it might change my mind. And I love all things ginger! We are huge fans of Almond Breeze in this house! 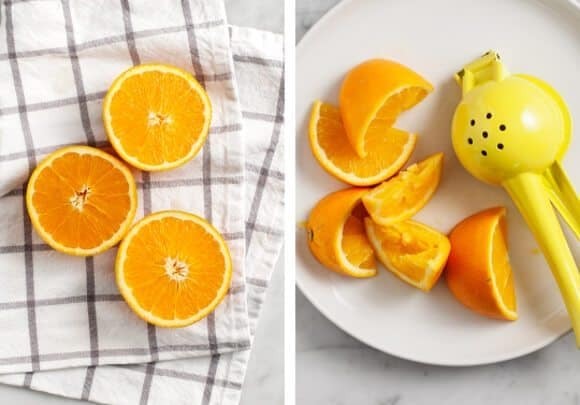 What a perfect way to use up all of those oranges we received for Christmas as well…what perfect timing! What a fun smoothie combo! 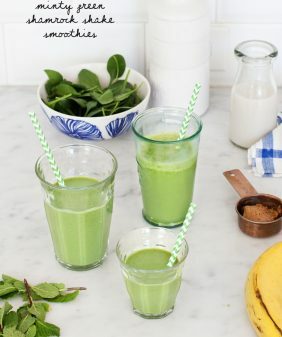 I never add ginger to smoothies [only juice], but I’m loving the idea. Thanks Marie! Happy new year to you to – & welcome! Thank you for posting. This is a beautiful, healthy smoothie for the new year! I substituted chia seeds for hemp, which thickened it up a bit, and I gave it a squeeze of lemon for brightness. I’ll definitely be adding this one to my rotation! Goji berries in a smoothie? Genius! Stay warm, from -15 in Chicago. thanks, so glad you liked it! Brave girl, making smoothies while it’s freezing out! with the goji berries should they be soaked beforehand or do we just chuck them in the blender dry? OMG I want these right now! They look so good. I eat paleo so I am loving your site and all the pretty pictures. I want to try like 15 of your recipes already. Found you on bonbon break…This looks so yummy! I will definitely be trying it! Thanks for sharing. What a beautiful drink! With that bright orange color, it sure sounds like a perfect drink to start a day! I just discovered your blog by your kale pesto recipe. Love your blog! Beautifully designed and your recipes are so easy to follow! thanks – so glad to hear! Love this little bit of sunshine in the middle of December. Cant wait to try. Thanks for sharing best smoothies.